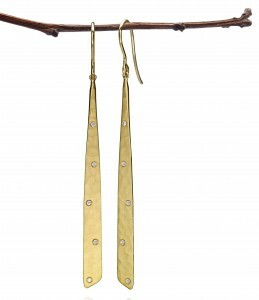 Eclipse hoop earrings are elemental in their grace and simplicity. The hoops have been described as the world’s premier hoop earring: easy to wear, always flattering and suitable for all occasions, from casual to elegant. 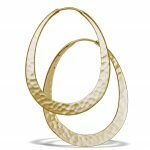 Crafted in reclaimed EcoGold or EcoSilver by artisans in our Oregon studio, Eclipse hoops are forged from a single strand of precious metal into a distinctive, elegant hoop that’s remarkably durable and resilient due to our unique cold-forging process. In addition to classic forged Eclipse hoop earrings and pendants, Eclipse Twilight style adds a brilliant constellation with three premium-cut Canadian diamonds hand-set in an asymmetrical balance on each earring or pendant. 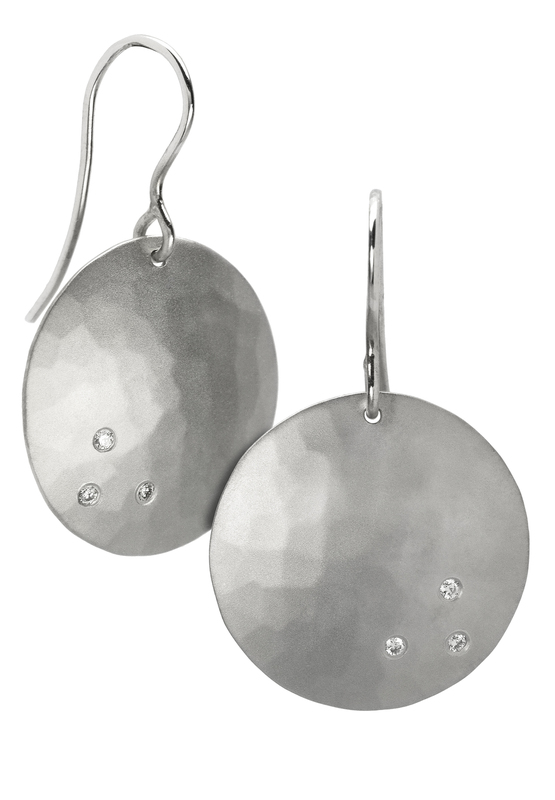 The Eclipse Mist hoops and pendants feature a sparkling array of seven to eleven .01 ct. premium-cut Canadian diamonds set into the hand-forged hoops. 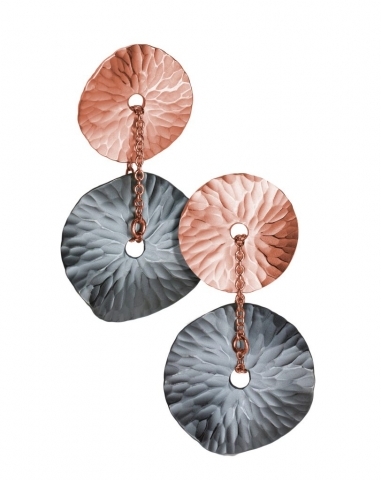 Eclipse hoops are available in a range of sizes from 20mm to 75mm, depending on the style and metal. 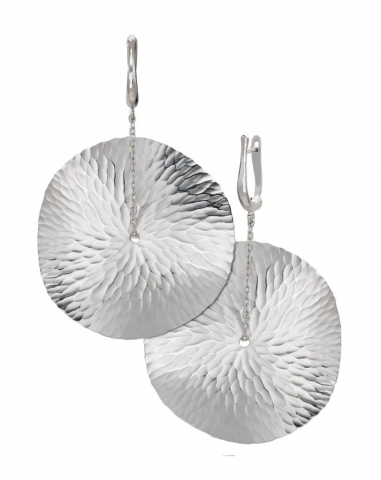 Eclipse hoops and pendants carry a limited lifetime warranty. 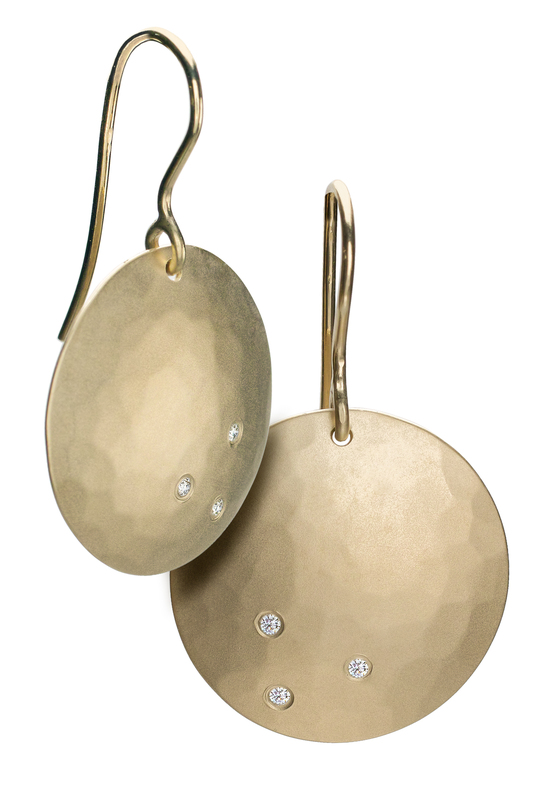 Oval Eclipse hoops have been stated to be the world’s premier hoop earring . Lightweight, supremely comfortable and everyday wearable. 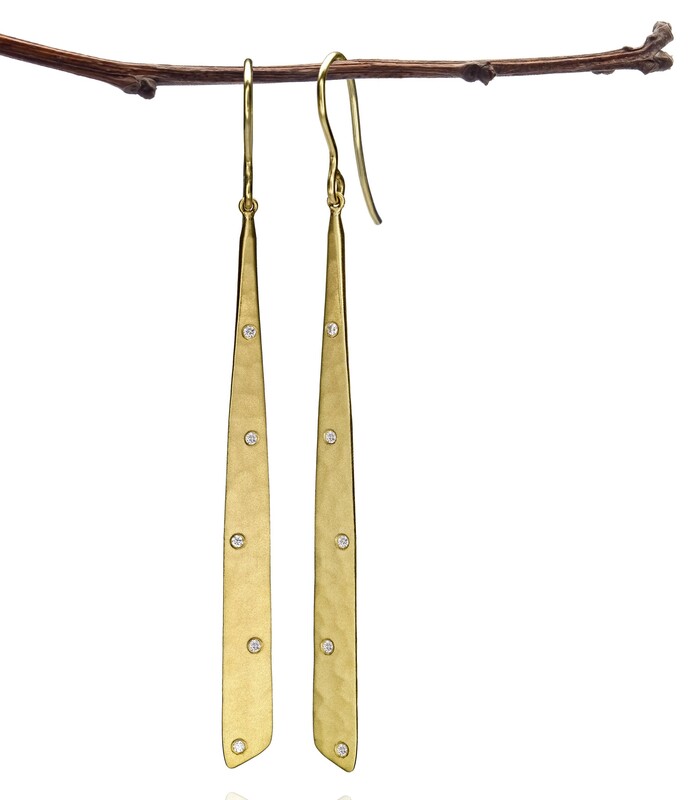 Crafted in reclaimed EcoGold or EcoSilver by artisans in our Oregon studio, Eclipse hoops are forged from a single strand of precious metal into a distinctive elegant hoop that’s remarkably durable and resilient due to our unique cold-forging process. Eclipse hoops and pendants carry a limited lifetime warranty. 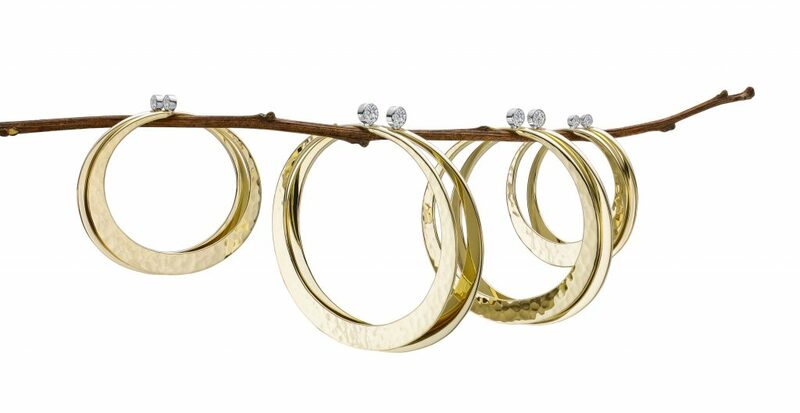 Oval Eclipse hoops are available in 34mm, 40mm. 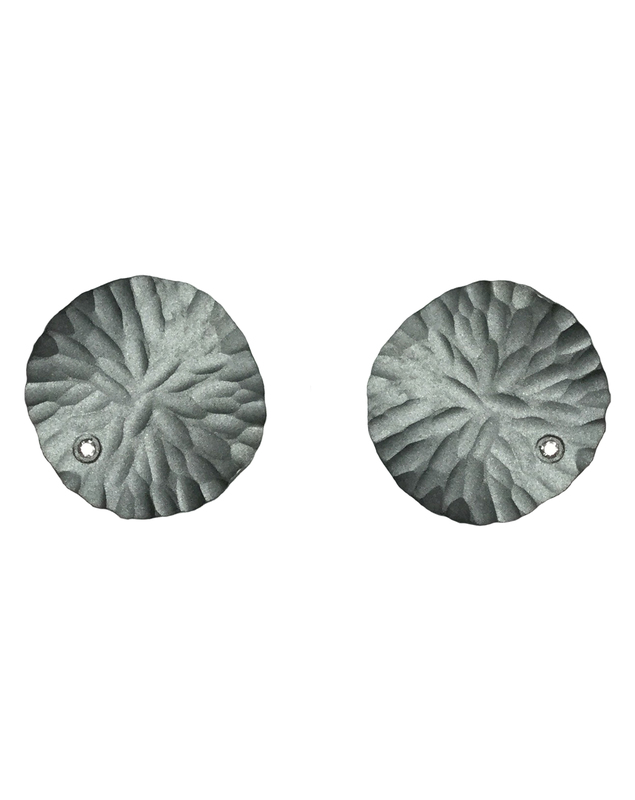 and 48mm lengths. 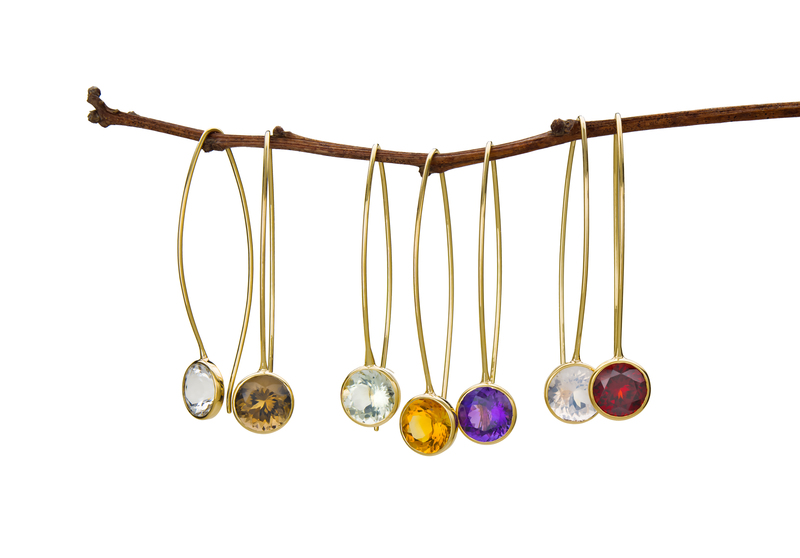 With clean, dramatic lines and a Rio Carnival flash of color, our Comet earrings feature a rainbow of color options offered in responsibly mined single or multi-stone styles. 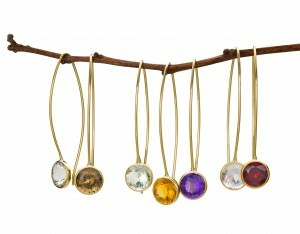 Hand-fashioned in our Oregon studios in reclaimed EcoGold, Comet earrings elegantly illuminate Portuguese-cut, traceable, responsibly mined and cut gemstones in smoky, rose or green quartz; or amethyst, citrine, garnet and blue topaz or brilliant diamonds. 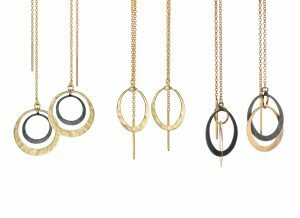 A perfect complement to any mood or outfit, our Petite Eclipse collection is a light, highly wearable style that adds sashay to your style. 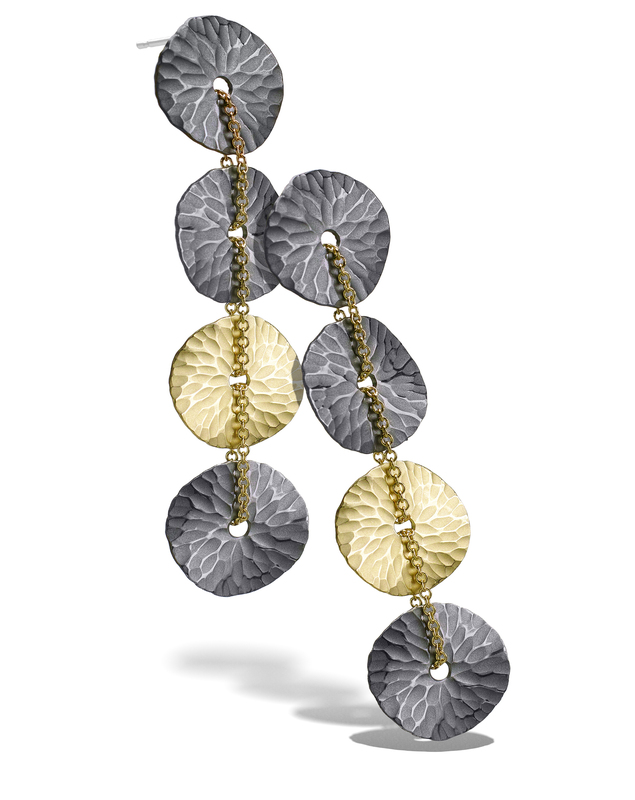 As with classic Eclipse, the Petite Eclipse collection is comprised of several styles and metals choices. The collection is offered in 14k or 18k yellow or rose EcoGold and/or bright, matte or blackened reclaimed EcoSilver. Hand-forged undulating disks of gold and silver express a wind-rippled texture that distinguishes our popular Oasis collection, a versatile accessory choice in a compelling range of styles and colors in sustainable EcoGold and EcoSilver. Mist Oasis earrings and pendants evoke a clear night firmament with premium-cut Canadian diamonds hand-set into matte finished or blackened EcoGold or EcoSilver. 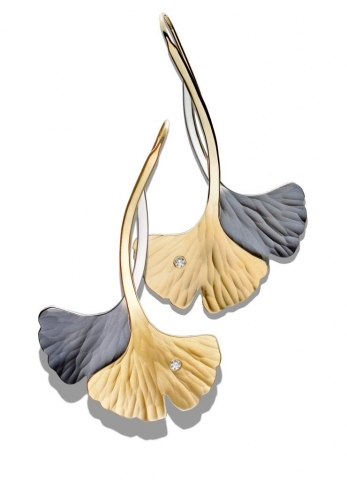 The Ginkgo leaf represents longevity, long life, balance, strength, hope and good health. 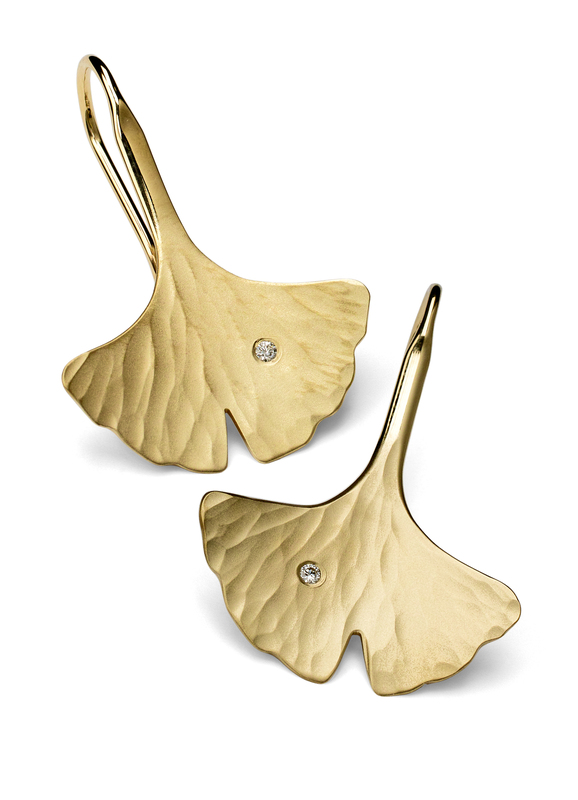 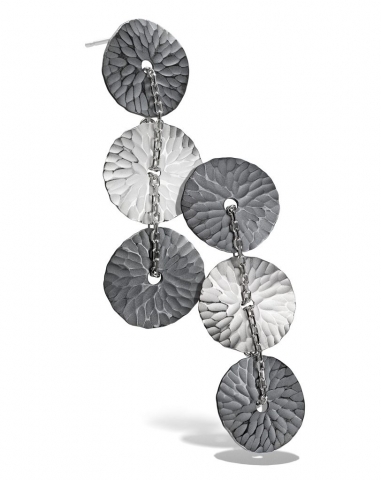 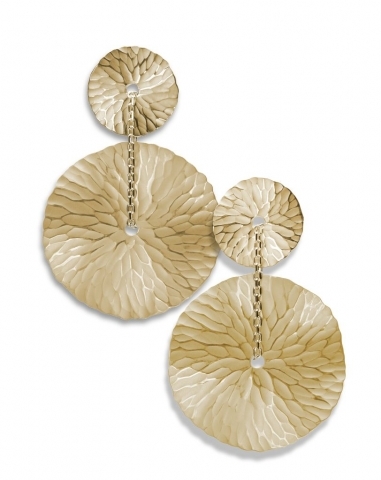 Our Ginkgo leaves are hand-hammered interpretations of one of Asia’s oldest symbols. 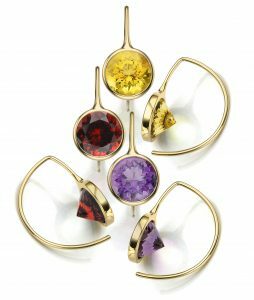 Pendants can be strung on a chain or lanyard and each fixed or articulated earring is forged in EcoGold or EcoSilver in our Oregon studios, and set with a single ideal-cut diamond. 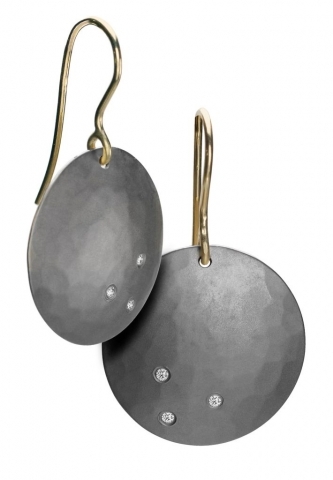 Moon earrings and pendants, a planished, soft convex dome of hand-hammered EcoGold, bright or matte; bright or blackened EcoSilver, available with or without diamonds dynamically offset. Cascades of nature inspired our Waterfall earrings, hand-crafted EcoGold or EcoSilver with hand-hammered matte texture, available with conflict-free diamond highlights. Available in two lengths, Waterfalls come either in a post setting, or an articulated ear wire that accentuates the sparkling cascade effect. Inspired by tropical floral petals, our Orchid earrings and pendants are hand-hammered into a sensuous shape that are reminiscent of a samba when worn. We create our orchids in reclaimed EcoGold, matte or bright, blackened or bright EcoSilver, and are available brilliantly set with a spray of diamonds.